Book before 31st May 2019 and receive complimentary half-board and return transfers for two guests. Offer valid for stays taken between 23rd April and 21st December 2019, subject to availability. The above free night offers are cumulative and can be combined with ‘Honeymoon Benefits‘. Take a look at their collection of beautiful villas and residences here. 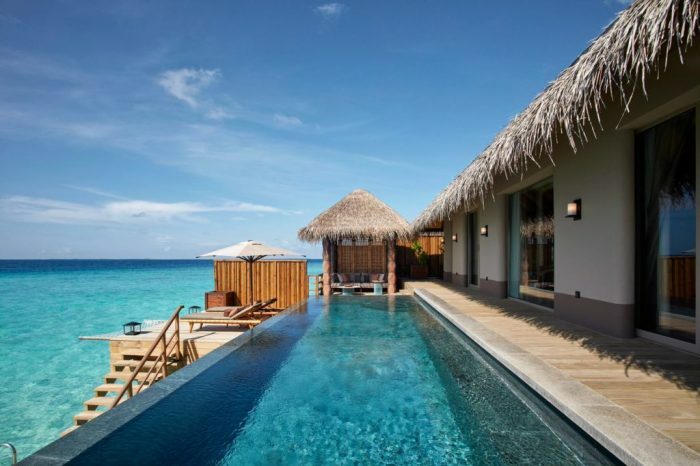 Beach and water villas are available and residences are ideal for families and feature 3 or 4 bedrooms.